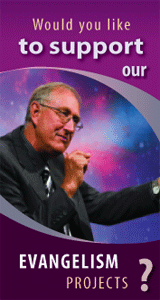 Summary: Revelation 13 says that the Antichrist will rule for 42 months. How does that add up considering the other Biblical prophecies about the Antichrist's reign? And there was given unto him a mouth speaking great things and blasphemies; and power was given unto him to continue forty and two months (Revelation 13:5). 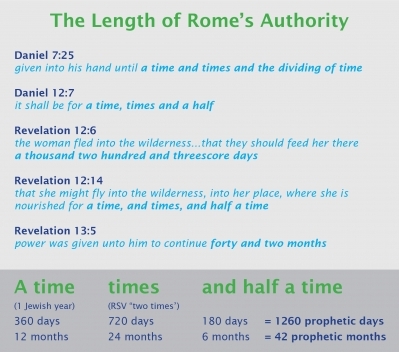 The 42 months that the Antichrist have authority is the same time period that the little horn power will have authority in Daniel 7:25, because the little horn of Daniel 7 and the beast of Revelation 13 are the same power. During its period of supremacy, the Papacy wielded more power than even the emperors of Rome. Kings laid their crowns at the feet of the Pope, and had him crown them. The Pope was supreme over all nations and peoples. Ahead to the next article—A Mouth to Utter Proud Words.